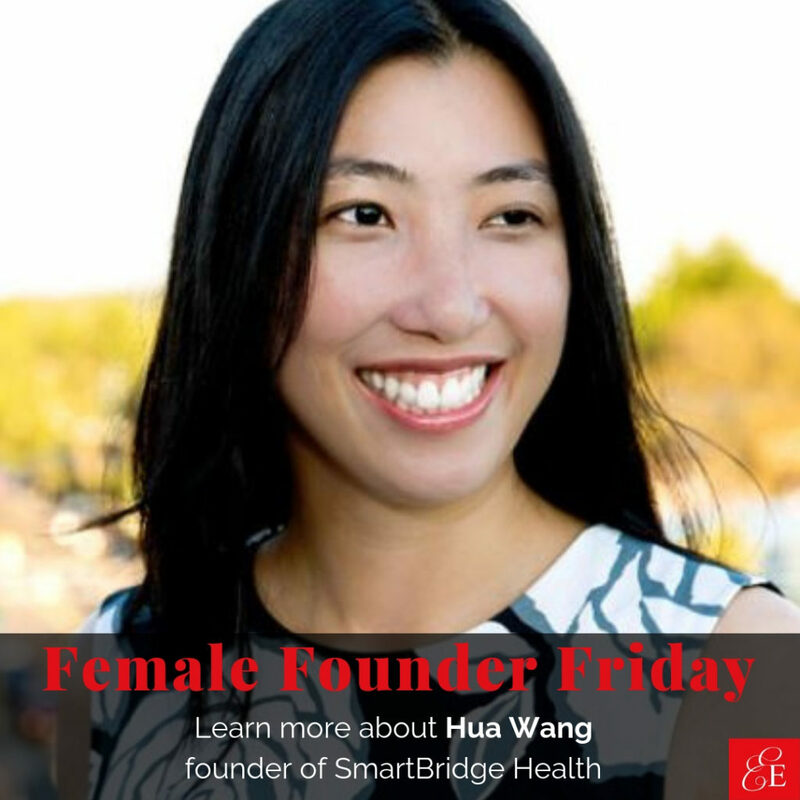 It’s Female Founder Friday, and I’m delighted to share the startup story of Hua Wang, the founder of SmartBridge Health. Her company is making world-class cancer care accessible. SmartBridge Health challenges the notion that high-quality, accessible cancer care is either unachievable or prohibitively expensive. They are proving that optimal cancer care can be affordable and accessible. SmartBridge Health offers a seamless experience that not only saves time and money, but also leads to better health outcomes and happier lives for our clients. I met Hua at a Wonder Woman Dinner in DC and was impressed with her quiet presence. In “entrepreneur world” there are so many loud people vying for attention, and Hua doesn’t need to raise her voice. When Hua speaks you can sense that what she’s saying matters, and you need to listen. I couldn’t wait to share her story and the company she is building to make the world a better place. So… if you’re building a company based on a powerful experience in your life, or are curious how Hua is making optimal cancer care affordable, don’t miss Hua’s story and advice for other women entrepreneurs below! My father passed away in 2005 after being in a persistent vegetative state. I was that family member who was up at 3 am in the morning googling about his condition. I was so stressed and overwhelmed, unsure of where to find the right information and whether we have the right team of doctors. The experience has always stayed with me. This led me to launch a successful pilot of cancer patients, caregivers and survivors. We have a story from each customer about how we helped them at a difficult time in their cancer journey. The customer validation inspires me to keep working at making world-class cancer care accessible. We’re an unknown cancer company. We are asking people to tell us they have cancer, to share their medical records, to match them with the right specialists, and to pay us. It takes a lot of time and touch points to convince someone to try our services. I’ve found that entrepreneurship only gets harder every year and the stakes get higher. The amount you personally invest of your emotional energy and sanity gets a lot higher. Implementing an idea is relatively easy, but the emotional roller coaster of building a culture is incredibly exhausting. We’re thrilled to be participating in the Halcyon Incubator. We are working with Arnold & Porter on our legal strategy, Deloitte and General Assembly on our user experience, and The Nantucket Project on our PR and branding. Have the confidence and self-awareness to be vulnerable and admit your mistakes. It is counter-intuitive, but vulnerability is a strength. Building a company is not a solo job; it takes a team of talented people who believe in your vision enough to put their heart and soul into it. True leadership comes from the ability to generate trust and show people you trust that you are human. “Fight Song.” I love how Rachel Platten wrote the song as an anthem to convince herself not to quit after struggling for over a decade as a struggling musician. In your career, you can succeed based on what you know or who you know. The optimal strategy is to do both. I massively under-invested time and energy in building my network.